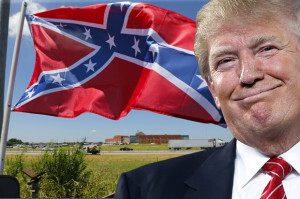 Donald Trump is now getting full support from white supremacists in New Hampshire. 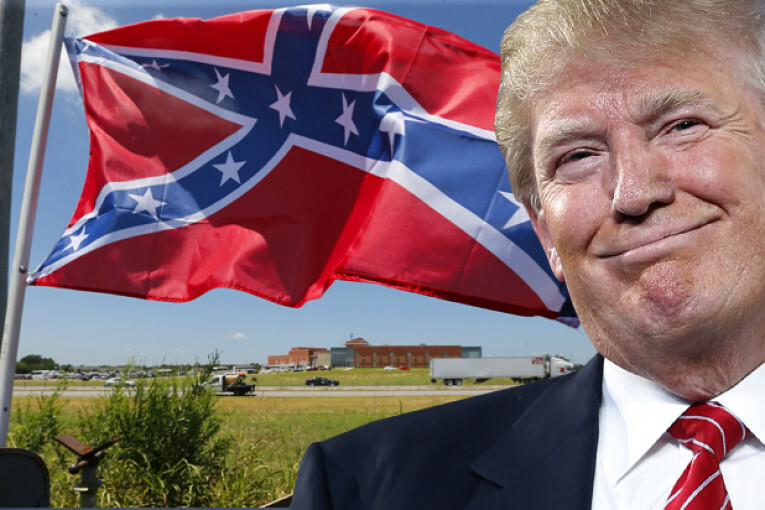 White supremacist groups are helping Donald Trump with his campaign. Their telephone marketing messages are picking up in Iowa and New Hampshire. White supremacist messages are very blunt, stating “we’re white supremacist and Donald Trump is our man”. Their main support message states the American Nationals Pac makes this call to support Trump in three different voices. We don’t need Muslims; we need smart real educated white people.” “I am a farm in a white nationalist supporting Trump. This call is not authorized by Donald Trump”. According to sources, the national AMERICAN Super PAC is Confederation of white supremacy groups across the United States. Jerod Taylor is an online author of one of the white supremacist groups stated that “most white people prefer to live in most majority white neighborhoods, and their kids go to a more majority white school. He also stated that “Deep in their bones. They are deeply disturbed by an immigration policy that is making the United States majority nonwhite. So when Trump talks about sending out the all the illegals and moratorium on Islamic immigration that is appealing to a lot of ordinary white people”. Jerod Taylor stated that he is a white advocate, not a white supremacist. He also feels that whites should live with Whites and Blacks should live with Blacks and just about everyone else, especially Muslims should get out” he also stated “why should we want more Muslims because Muslims have been a terrible problem for Europe”. Jerry Taylor went on to complain that Muslims want to pray five times a day, stopping work and productivity, they want to have foot baths before they prayer, they want women only swimming pool hours and some of them want to kill us. So why would anyone want Muslims in the United States. Jerry Taylor, who is supporting Donald Trump has been accused of being vile and racist. Jerry Taylor responded that they can call him all the names that they want, but what he saying is all natural, normal and healthy. Jerry Taylor was asked if he thought Donald Trump wanted his support. He stated that he believes Donald Trump wants support from everyone. CNN contacted the Donald Trump’s campaign, they would not respond specifically about the white supremacist giving them support. The Trump campaign did state that Mr. Donald Trump has disavowed all super PACs offering their support and continues to do so. This statement was released by Hope Hicks the Trump campaign spokesperson. As Trump and his quest for the White House grows so does his support from white supremacist groups that are in line with Donald Trump’s views. It is yet to be seen. Is Trump’s ultimate agenda a true white supremacist ideology only time will tell?